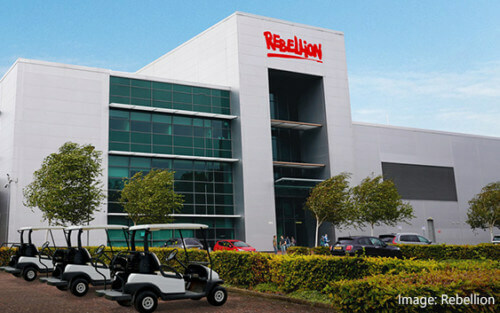 Video game company Rebellion – known for creating a number of memorable PC, console & mobile games including the ‘Sniper Elite’ series and ‘Empire Earth’ – has bought a large former print works in Didcot, England with the intention of converting the space into a $100million (just under £80million) film and television studio for a host of upcoming projects they are set to develop. The studio, situated close to Oxford and west of London, was formerly a printing works for the Daily Mail newspaper, but with a number of large soundproofed stages already set up, it may take only weeks for operations to begin, with Rebellion looking to develop TV series “Judge Dredd: Mega-City One” and Duncan Jones’ (Moon) upcoming video game to film adaptation Rogue Trooper in-house. As well as paying host to Rebellion’s own projects, the studio is being developed with the intention of providing studio space for third parties too, which seems to come at a time when the UK’s attractiveness to international productions is going through a boom period due to recent rule changes regarding tax relief for productions using UK facilities and staff. At over 220,000 square feet in total, including a 25,000 square foot sound stage, and situated close to London, it is expected to be an in-demand centre for production, with the Rebellion co-founders Jason and Chris Kingsley expecting the studio to create up to 500 new jobs. The new studio is one of a number being planned for the coming years in the UK, with the world famous Pinewood Studios at Shepperton looking to expand, Screen Yorkshire making plans to welcome international productions to the region, new Channel 4 offices heading to Leeds and a new facility going up in Liverpool. Rebellion currently hold the rights for all titles mentioned above as well as “2000AD”, “Battle” and “Roy of the Rovers” amongst others.